Oh my goodness what is this country turning into, ritualism everywhere. 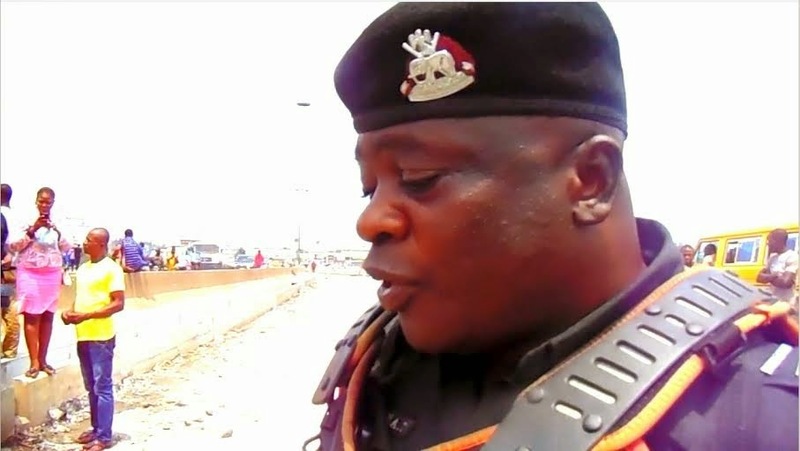 Several weeks after Lagos Police command issued a warning notice to Lagosians about the danger of Mile 2 bridge at night, another murder has been linked to that popular pedestrian bridge. 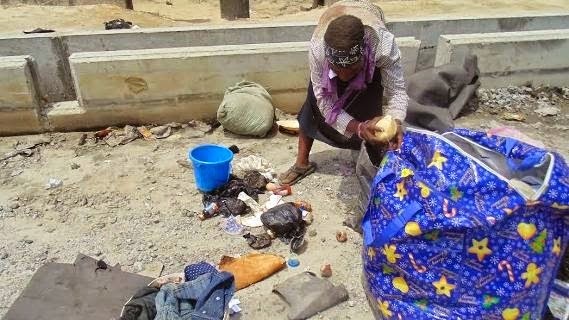 The woman seen above disguised as an insane person was caught with the decomposing body of an innocent 3-year-old boy by a police officer on duty on Sunday morning. 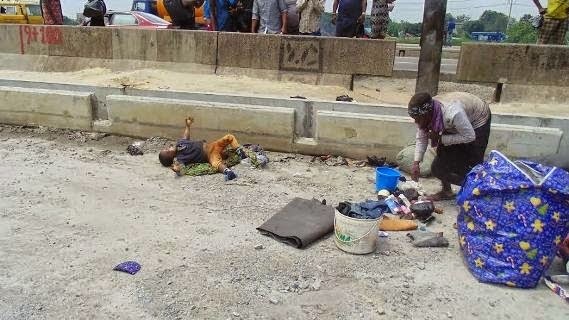 The gruesome discovery was made by the vigilant policeman who saw the woman dragging a fully loaded Ghana must go bag on Mile 2 Bridge, Apapa this morning. Because the woman looked suspicious, the Police officer stopped her and search the bag. To his surprise, he found the boy’s corpse with charms wrapped around him. The vital organs of the innocent boy including eyes, tongues had been removed. 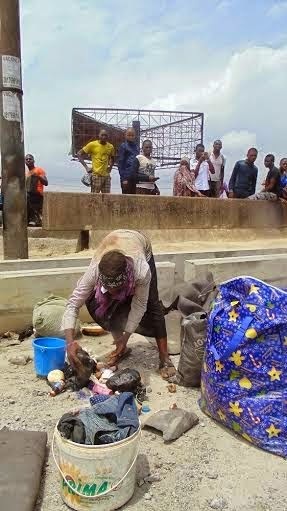 The unidentified female ritualist was immediately arrested and taken to police station for investigation. The corpse of the innocent boy has been removed. Dis is my fear for not coming home since 2008 when armed robbers stripped me and my wife of our belongings at a hotel in Ikeja lagos. What if a ritualist put the corpse in her bag. Dis woman may be insane. she is not mad,just disguise herself so that people will not know what she is up to. @ ebere tel me whr people r nt desperate 4 wealth. 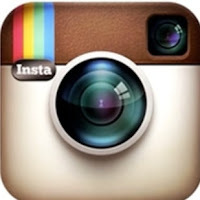 @ asamutu must u comment smh….